16 years under the rule of President Recep Tayyip Erdoğan's AKP government stand for poverty and occupational murders for working people as capitalists enjoy Erdoğan's 'resurrection' model, writes soL international in an interesting report. As Turkey is heading to the polls for presidential and parliamentary elections, statistical data contradicts President Recep Tayyip Erdoğan‘s electoral manifesto and the rhetoric of ‘resurrection’ considering Turkey’s 16 years under the rule of his AKP party government. 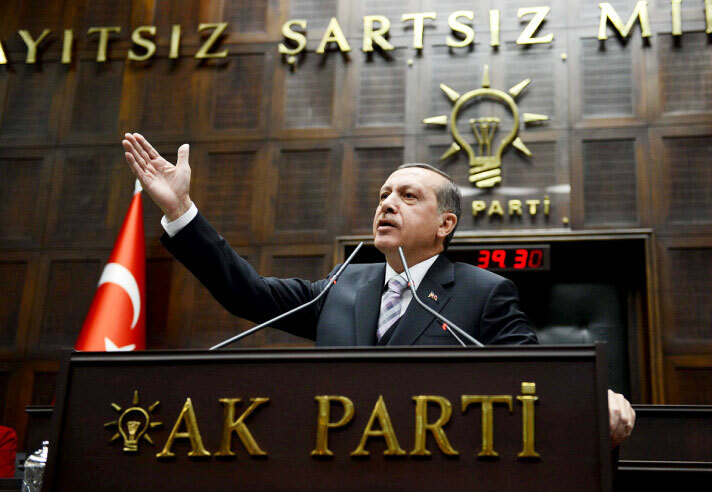 Erdoğan described next month's elections as a “milestone” for a strong Turkey. The country would “take the stage as a global power,” he vowed. However, Erdoğan’s way shows quite the contrary: the rich get richer, and the poor get poorer. Nominated as the candidate of the alliance of his AKP party and fascist MHP party, Erdoğan said, “We are going to lend more support to our industrialists, entrepreneurs, business world and exporters,” revealing that his government has always backed Turkey’s capitalist class since 2002 when his party took power. “We have always achieved impossible things although we have confronted great challenges for the last 16 years of resurrection,” he said. Erdoğan often resorts to the term ‘resurrection‘ in an attempt to portray a rhetoric neo-Ottomanism for allegedly placing Turkey among the great powers of the world. However, Turkey has witnessed the harshest attacks of privatisation in public sector in defiance of the working people during the rule of Erdoğan’s AKP government. As the government boasted about the “gaining” of privatisation practices, 75 billion US dollar obtained from privatisations was spent on domestic and foreign debts while local and foreign capitalists plundered the Turkish economy. Turkey’s ports, state-run beverage and tobacco company (TEKEL), chrome company, Türk Telekom, oil refinery Tüpraş, electricity companies and many other public establishments were all privatised under AKP party rule. One of the initial establishments of the Republican era, Turkey’s state-run cellulose and paper factory SEKA was also shut down, and its assets were sold during the initial years of the AKP government, escalating the country’s dependency on paper importation. In contrary to Erdoğan’s allegations, if SEKA had not been closed, it would have been possible to decrease Turkey’s current account deficit by 3 percent. As the government gained only 87,7 million US dollar from the sale of SEKA assets, Turkey’s paper importation reached 2,3 billion dollars in 2016. Having had one of the biggest chrome reserves in Turkey, Eti Krom was privatised in 2004 in exchange for 58,1 million US dollar. Experts say that the value of the chrome factory’s stocks was higher than the sale cost. In parallel with the rise in commodity prices between 2004 and 2008, the chrome prices also rose highly. As China’s demands for chrome escalated due to its increasing steel production, the privatised chrome factory’s annual profits reached up to the sale cost in defiance of the public economy. Yıldırımlar Group, a Turkish capitalist circle that hugely increased its profits by taking the advantage of privatizations under the rule of AKP government, bought a chrome factory in Sweden in 2008 and chrome reserves in former USSR countries in the following years, increasing its turnovers from 100 million dollars to 1,5 billion in 2016. 51 percent of Tüpraş, Turkey’s sole oil refinery, was taken over by a consortium of Shell and the country’s top capitalist circle Koç Group, which later bought the shares of Shell, in exchange for 4,14 billion US dollar. However, Tüpraş’s turnover was 10,9 billion while its net profit was 650 million in 2005. Following the privatization, its total turnover became 200 billion dollars as its net profit reached 8 billion in 11 years between 2006 and 2016. Experts argue that half of the rise in Koç Group’s average profit of 1,5 billion comes from Tüpraş. According to Workers’ Health and Work Safety Assembly, the number of workers who lost their lives due to occupational murders is around 20 thousand between 2002 and 2017 during the reign of AKP government. The figure exceeds 140 thousand when the occupational diseases are taken into account. Coined by Erdoğan, the term of ‘resurrection’ stands for death when it comes to the workers because of harsh, long and unsafe working conditions and privatizations. According to data of the year of 2015, Turkey is the top third country with the highest inequality of income among the OECD countries. Turkish Statistical Institute data demonstrates that 20 percent of the population with the highest income takes 47,2 percent of the total income as the lowest income section of 20 percent only takes 6,2 percent. Furthermore, the share of the richest 1 percent increased from 38 percent to 54 between 2000 and 2014 while the richest 10 percent’s share rose from 66 percent to 77 at the same period. 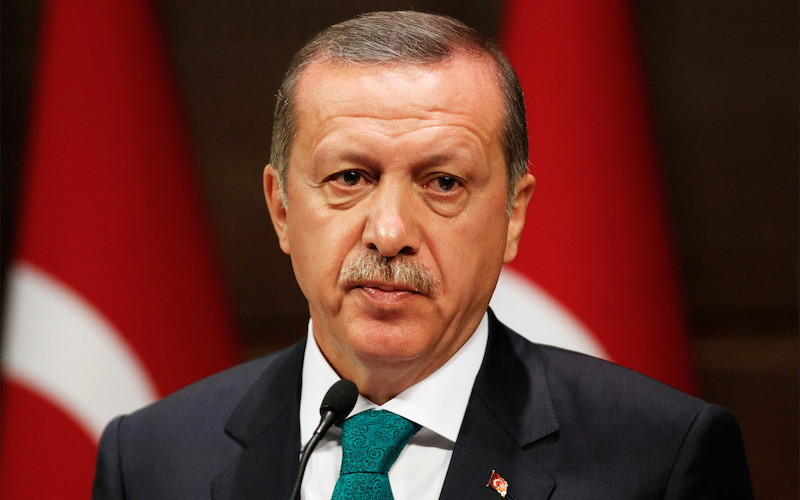 While declaring his party’s electoral manifesto, President Erdoğan emphasized that his government terminated the IMF debts of 23,5 billion dollars after they took the power in 2002. However, Turkey’s public external debt stock increased from 43 billion in 2002 to 136 billion at the end of 2017. Meanwhile, the country’s total external debt stock increased from 130 billion to 453 billion. As Turkey’s private sector indebtedness has gigantically escalated, its debt stock has turned the country into one of the most fragile economies of the world today. Considering all the privatizations, anti-labour impositions, bans on workers’ strikes, high income inequalities, long and unsafe working conditions and occupational murders, Erdoğan’s ‘resurrection’ means the revival of capitalists but poverty and death for the working people.